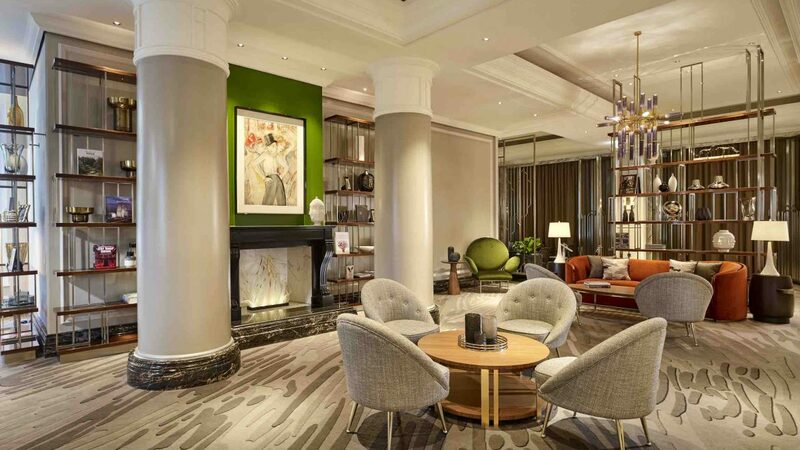 The Ritz-Carlton, Berlin has announced the culmination of a 40 million euro renovation. The meticulous refurbishment, largely funded by its ownership Beisheim Group, heralds in a new era of elegance through refreshed guestrooms and suites, conference, wellness, lobby and lounge areas and the addition of POTS, a new restaurant. Each space evokes a vision of Berlin in the 1920s, with guests encountering creative details and thoughtful references to the golden era of German cinema. The hotel’s imaginatively redesigned guest rooms and suites are the work of G.A. Design’s Budapest team, as is the grand entrance guests experience in the lobby upon arrival. An ornate sweeping marble and ironwork staircase makes a statement, while sparkling crystal chandeliers evoke the flurry of flashbulbs that punctuate the annual Berlinale Film Festival. 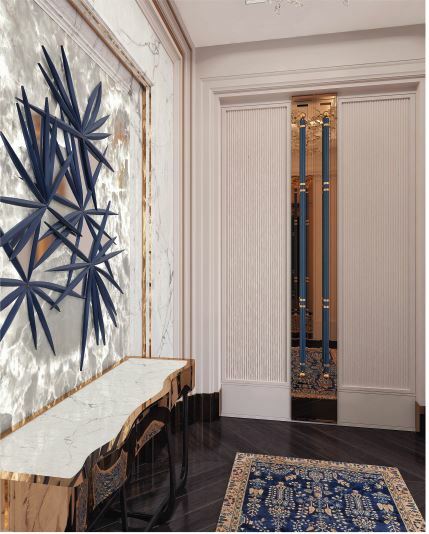 Radiating 1920s flair, one wall gleams with stylised champagne glasses while guests will find one of the recurring motifs of the new design at reception: an abstract representation of a screen, reminiscent of film star’s cloakrooms. the art technology is also thoughtfully woven into the experience, including touchscreens controlling all in-room electronics and convenient charging stations built into seating. In the Carlton Club Suite, shades of blue represent the moon and Berlin nightlife and in The Ritz-Carlton Suite, warm golden tones are a nod to the city’s sunny sides. The Lounge creates the heart of the hotel, shining in new splendour with dazzling mirror accents across its marble floor. Designed in the style of a South American hacienda, a Living Room lies in the heart of the bar with a stage for live music. A vision in red and gold, the Fragrances Bar is home to the high art of mixology, centred around scents and where Heissen enthrals guests with his “fragrant” cocktail creations. An interactive experience, guests choose their favourite cocktails from a walk-through bar menu, the Hall of Fame, where each drink is inspired by a top-quality gourmet perfume. The bar’s design is based on elaborate perfume flacons with ingredients and spirits arranged in pharmacy bottles, reflecting the mixologist’s experimental work. Dark mirrors underscore the sensual approach and mystical character of the space, with six avant-garde Golden Age-inspired drawings by local artist Tina Berning lining the walls. Re-envisaged by interior expert Carbone Design, the hotel’s newly modernized wellness space brings a hint of glamour to the workout and wellness experience. Guests can also take advantage of two saunas, a cosmetic treatment menu and state-of-the-art fitness equipment. The divisible ballroom of the Beletage conference area is ideal for lavish parties as well as corporate events. Inspired by the 1920s nightlife, Czech lighting designer Lasvit created large Bohemian glass lamps in striking shapes, giving special dimension to the space. Seven additional event rooms featuring state-of-the-art technology have a total area of 1,800 square metres. 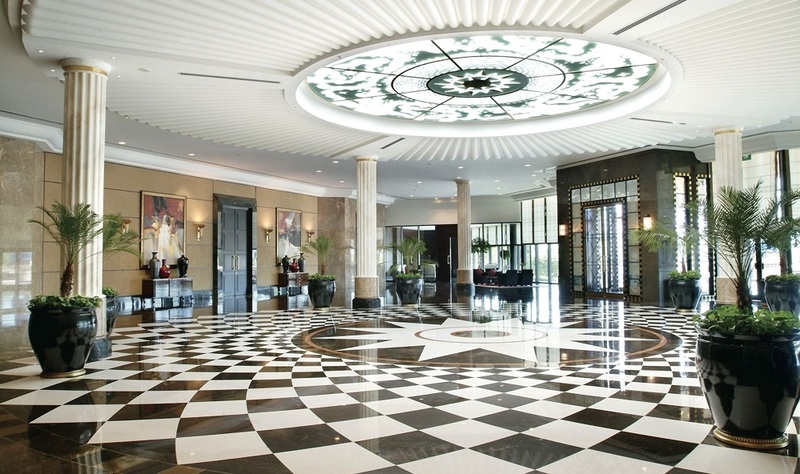 The Ritz-Carlton Istanbul has completed a two-year, multi-million-dollar renovation across all guestrooms, ballrooms and events spaces. The hotel marks the completion of its refresh with the unveiling of The Ritz-Carlton Suite, which is being dubbed the hotel’s crown jewel featuring more than 2,500 square feet of space and some of the most spectacular views of Istanbul. Located on the 14th floor, the suite features floor-to-ceiling windows providing magnificent views across the Bosphorus. The space was re-imagined by well-known Turkish architect, Hakan Yürüoğlu, who is also responsible for the redevelopment of all banqueting areas including the stunning ballroom. In keeping with the other 243 guestrooms, gold and copper hues are combined with highlights of rich blue to reflect the rich history of the Ottoman Empire. A unique mix of colours and materials have been used to emphasise the grandeur of the city, including stone, wood and metals that showcase the dynamism of Istanbul and the Bosphorus views. Comprising a luxuriously appointed King bedroom and separate living room, guests staying in The Ritz-Carlton Suite can enjoy the ultimate indulgence thanks to a spa hot tub with views overlooking the Bosphorus as well as two full marble bathrooms with rain showers and soaking tubs. Other amenities include complimentary access to the exclusive, well-appointed Club Lounge and a 42-inch flat-screen IPTV. For guests travelling in a larger group, The Ritz-Carlton Suite provides flexibility with three connecting rooms available to accommodate up to eight guests. Located in the heart of the city of Istanbul, the hotel now stands as one of the city’s most elegant hotels. Set against the backdrop of stunning Bosphorus shores, the hotel provides a perfect blend of culture, hospitality and sophistication at the heart of the world’s crossroads between Asia and Europe. Elsewhere in the hotel, the Lobby Lounge is the perfect spot for an afternoon tea and Bleu Lounge Terrace for cocktails offering unrivalled views of the Bosphorus. The hotel also features a wellness centre, featuring a rich menu of facial and total body treatments, an indoor pool and an authentic Turkish Hammam. A rarity in the city, the hotel is the only property to offer an open-air spa with treatments overlooking the Bosphorus. The hotel compliments Istanbul’s growing new-found reputation as the ‘capital of cool’. 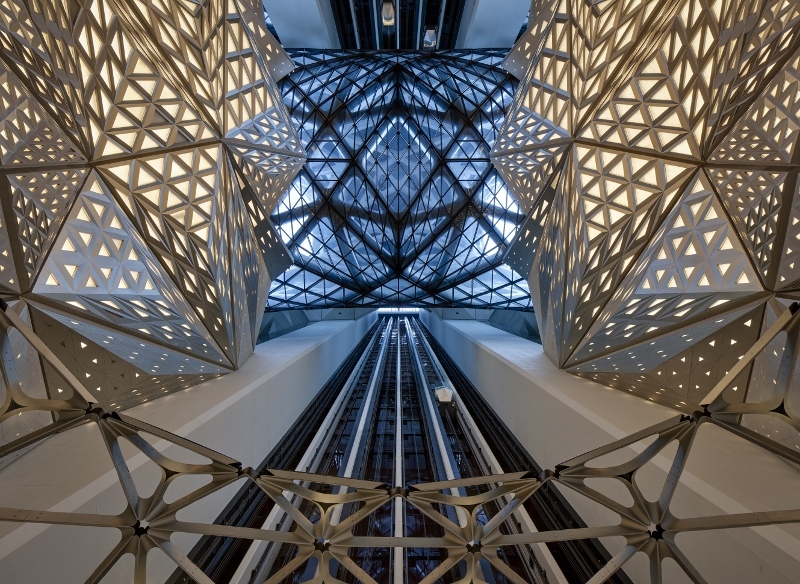 The city has seen a raft of hip new hotels arriving in the neighbourhood, galleries and flight routes – including the new $25 billion Istanbul Airport – that are leading the city’s renaissance ensuring a growing demand for more stylish accommodations in this city. The Ritz-Carlton Istanbul now stands among them as a leading luxury hotel in one of the brand’s 30 destinations in which it operates in. It’s been a busy week for the industry, with plenty of news in the air to digest. 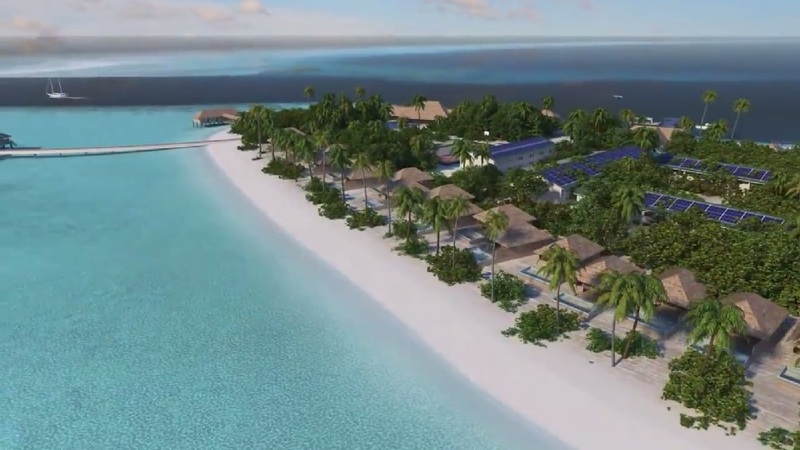 This week Hotel Designs has seen the launch of a new upscale hotel brand, new openings from around the world and we are one step closer to the first hotel brand launching on water. Claiming to be the first luxury hotel group to take its service and ambiance of its resorts to the sea, The Ritz-Carlton, L.L.C. has announced the opening of reservations for The Ritz-Carlton Yacht Collection. The yacht will also feature two 158 square-meter lavish Owner’s suites, each with its own private whirlpool, modern craftsmanship and interior finishes jointly designed by The Ritz-Carlton and leading design firm Tillberg Design of Sweden. To ensure that you are kept up to date with all the latest news and features, sign up to our newsletter. Claiming to be the first luxury hotel group to take its service and ambiance of its resorts to the sea, The Ritz-Carlton, L.L.C. has announced the opening of reservations for The Ritz-Carlton Yacht Collection. 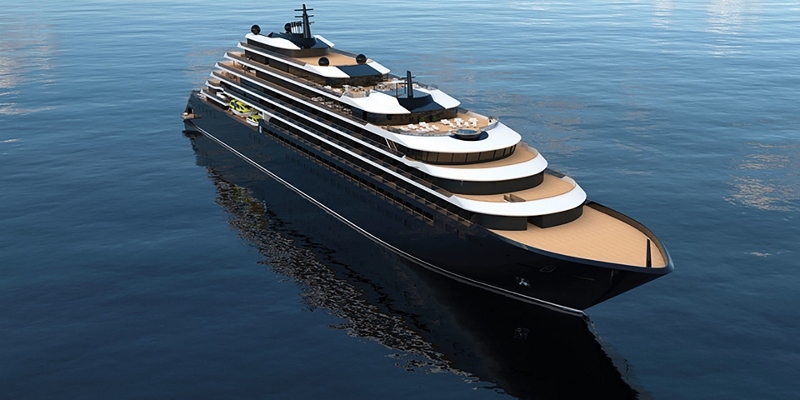 Reservations are now open for the inaugural season of The Ritz-Carlton Yacht Collection, set to take the seas in February 2020. With several distinct itineraries available in 2020, guests have the option to book back-to-back voyages without repeating ports, allowing them to explore a wider range of destinations and delve into the local culture at each port. Designed with a yachting lifestyle in mind, the first of three bespoke yachts in The Ritz-Carlton Yacht Collection will stop at both signature and iconic destinations. The specially designed yacht will measure 190-meters, accommodate up to 298 passengers and feature 149 suites, each with its own private terrace. 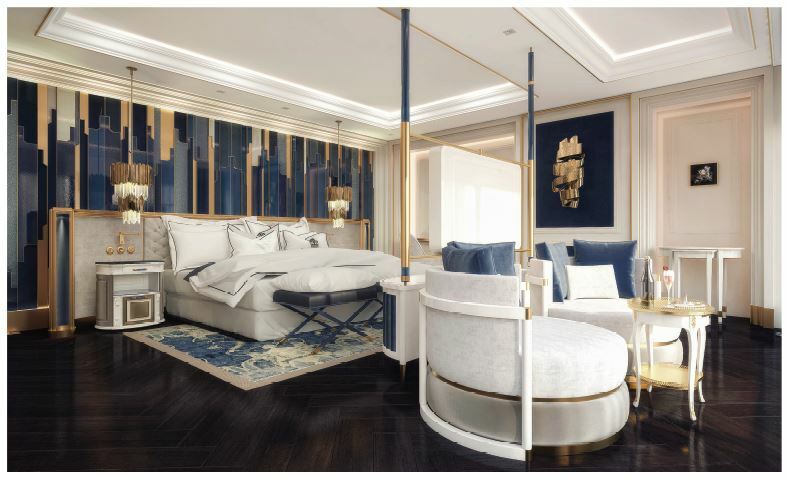 The yacht will also feature two 158 square-meter lavish Owner’s suites, each with its own private whirlpool, modern craftsmanship and interior finishes jointly designed by The Ritz-Carlton and leading design firm Tillberg Design of Sweden. The onboard experience will reflect the sublime comfort and unparalleled level of individualized guest service for which the iconic Ritz-Carlton brand is recognized, with one of the highest staff to guest service ratios in the cruise industry. Customers are also encouraged to visit the newly launched website for The Ritz-Carlton Yacht Collection, which offers full details of itineraries, pricing, and onboard experiences. Guests can browse for voyages by region, departure date or ports of interest using the “Find a Cruise” feature, view suite and fare information, explore the yacht experience, and more. The website additionally features a downloadable digital brochure for The Ritz-Carlton Yacht Collection, with engaging imagery and further itinerary information for the inaugural season. The news of The Ritz-Carlton Yacht Collection opens reservations follows an increase in hotel design firm’s being signed up to redesign major cruise liners, suggesting that holidays at seas are becoming ever-more popular. 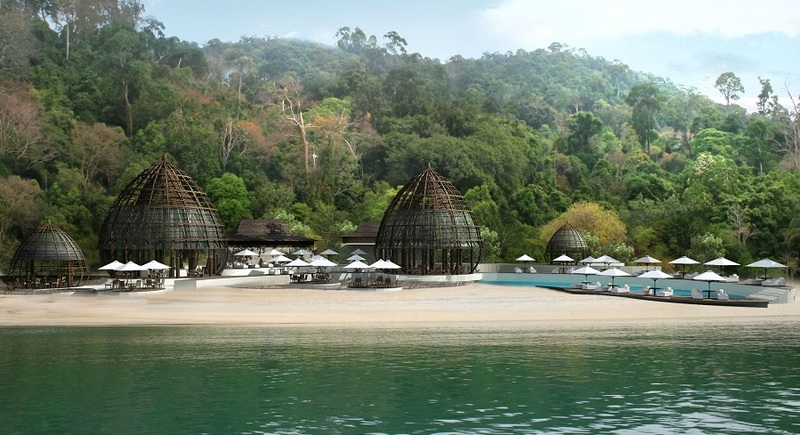 YTL Hotels is delighted to announce the opening of The Ritz-Carlton, Koh Samui in Thailand. The resort’s opening has been highly-anticipated and its debut on the eastern coast of Thailand marks the beginning of the discovery of inspiring and quintessential experiences. Koh Samui has long been renowned for its breathtaking tropical charms and pristine natural beauty on the Gulf of Thailand and is a much sought-after destination by luxury travellers from around the world. The distinguished and personalised Ritz-Carlton service and legendary Thai hospitality are interwoven to create unique treasured moments. “The Ritz-Carlton, Koh Samui marks another milestone of our strong partnership with Marriott International. With the opening of this resort, our portfolio together with Marriott International now encompasses nine properties across Asia-Pacific and Europe,” said Dato’ Mark Yeoh, Executive Director of YTL Hotels. The opening of The Ritz-Carlton, Koh Samui affirms the long-standing relationship between Marriott International and YTL Hotels. The resort adds to YTL Hotels’ current footprint in Thailand which includes The Surin Phuket, a member of Design Hotels™, and the luxurious Eastern & Oriental Express which travels from Singapore to Thailand. With 175 suites and pool villas, nestled amid 58 acres, the resort overlooks the turquoise waters with an extensive oceanfront. Built on the site of a former coconut plantation, the stunning resort with its contemporary architecture pays homage to its past with the extensive use of coconut and other natural materials such as ceramics that imbue a sense of place. 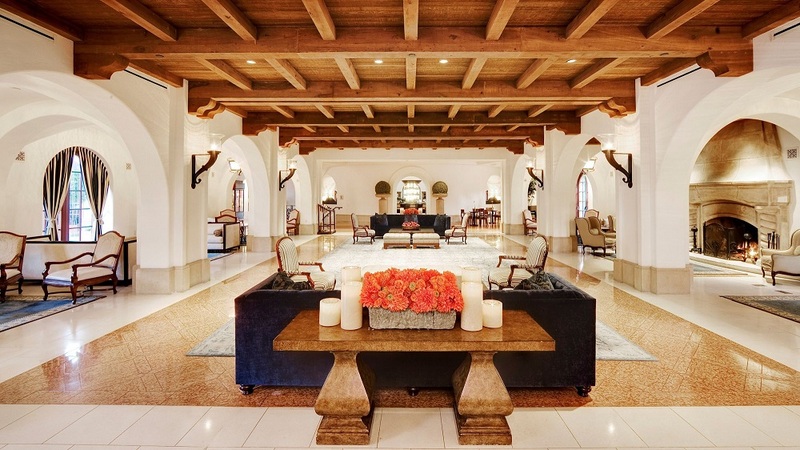 The Ritz-Carlton Hotel Company has announced the newest addition to its collection of luxurious global properties, The Ritz-Carlton Bacara, Santa Barbara. 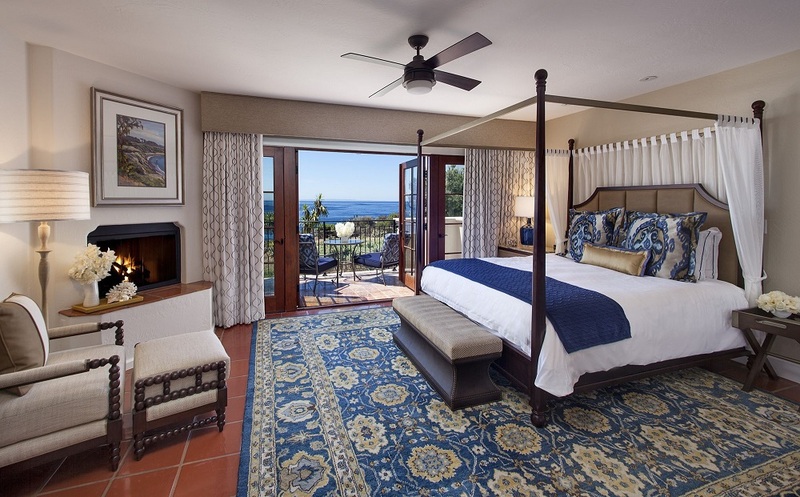 Recently acquired by Carey Watermark Investors Incorporated and Carey Watermark Investors 2 Incorporated, the former Bacara Resort & Spa has undergone a multi-million-dollar renovation which included all 358 guest rooms and suites as well as enhancements to the resort”s six culinary venues. The Ritz-Carlton Bacara, Santa Barbara will provide the legendary personalized service and luxury facilities guests of The Ritz-Carlton brand have come to know worldwide. 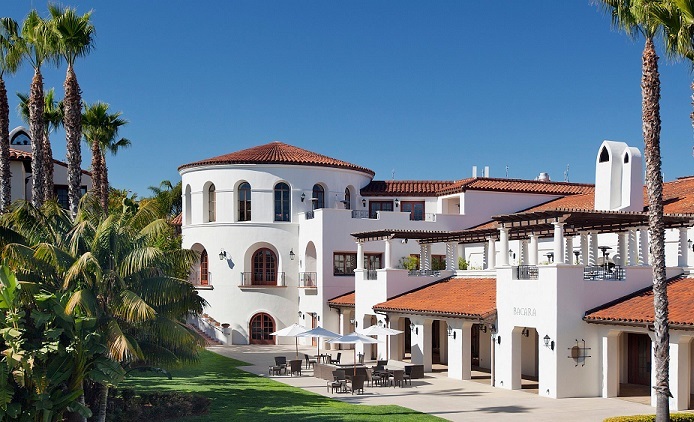 Located on 78 acres of exclusive California coastline, The Ritz-Carlton Bacara, Santa Barbara will immerse guests in the destination while inspiring them to discover the best of coastal living. The oceanfront resort offers direct beach access and three salt-water swimming pools, a 42,000-square foot luxury spa with 36 treatment rooms, a salon and a fitness center, as well as abundant indoor and outdoor event space. Six culinary venues, including Angel Oak, the resort”s signature restaurant, will give guests a taste of Santa Barbara. Just minutes from the center of charming and historic Santa Barbara, the resort is nestled between the Pacific Ocean and the Santa Ynez Mountain, with close proximity to the region”s best vineyards. 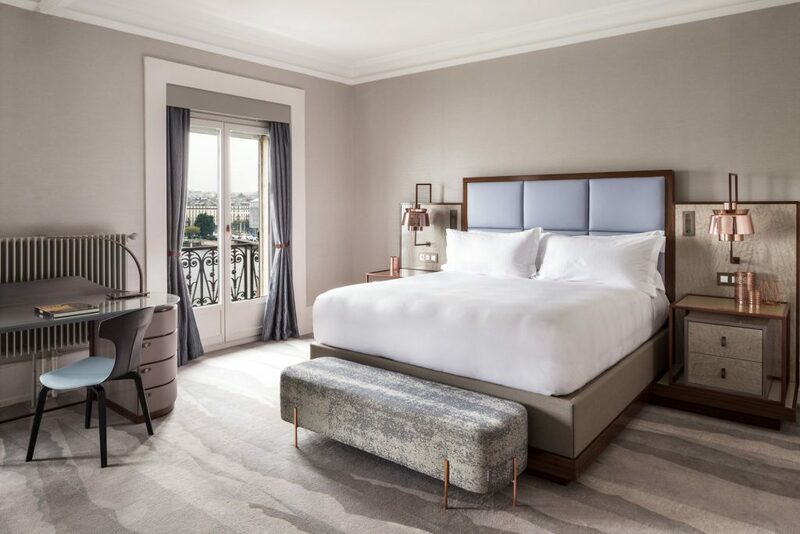 The Ritz-Carlton together with the Manz family have announced the completion of the renovation of The Ritz-Carlton Hotel de la Paix, Geneva, the legendary luxury hotel brand’s debut in Switzerland. 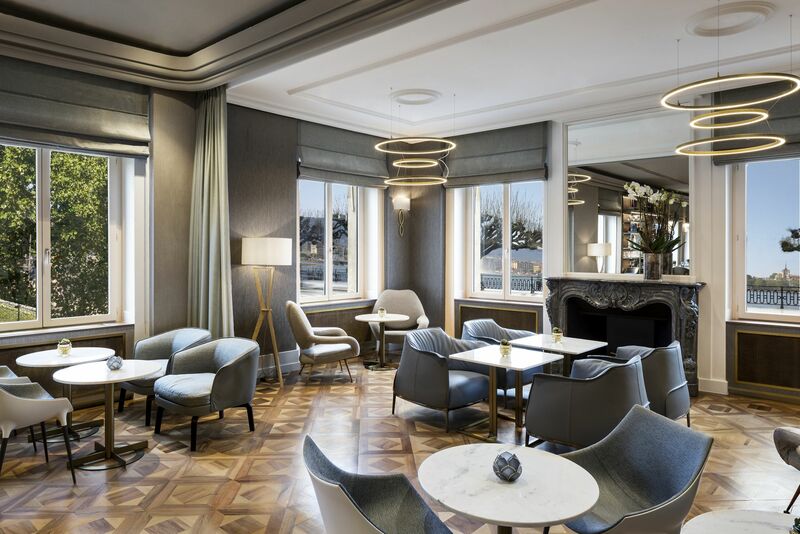 Formerly known as Hotel de la Paix, Geneva, the 152-year-old hotel underwent a multi-million dollar renovation, extensive re-design and refurbishment, marking a new era in the evolving story of one of Geneva’s most elegant and historic hotels. 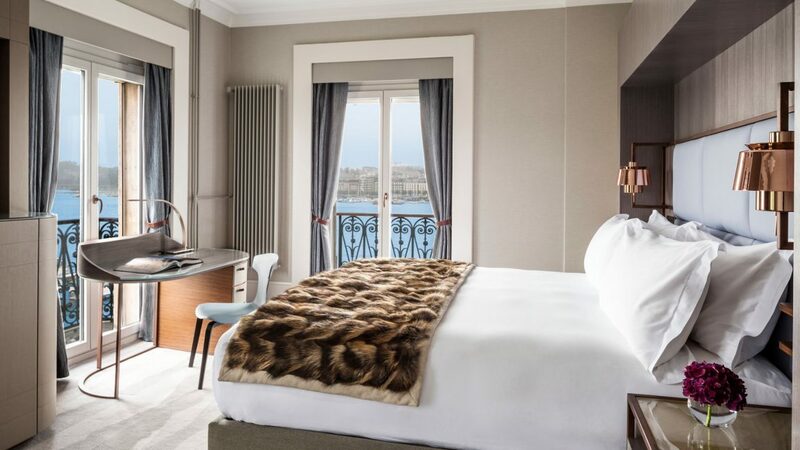 Positioned on the shore of Lake Geneva, with exceptional views of the city’s famous Jet d’Eau and Mont Blanc as a timeless backdrop, Hotel de la Paix has defined luxury in Geneva since its inception in 1865. It has also stood at the crossroads of history, inspiring many memorable gatherings including the International Congress of Peace, and has welcomed high-profile guests from across the globe, such as the Monaco Royal Family and notable American actor Orson Welles. 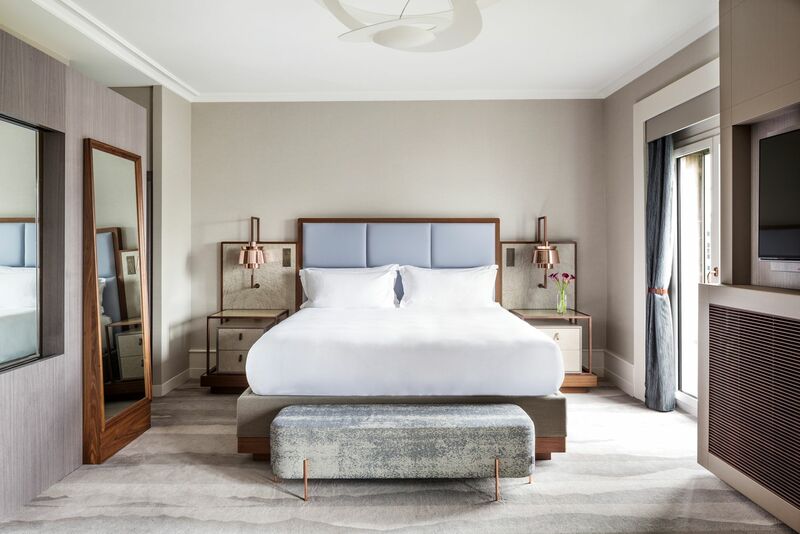 The Ritz-Carlton Hotel de la Paix, Geneva has been thoughtfully renovated to seamlessly blend modern design, functionality and the hotel’s heritage. The newly restored public areas reflect a design concept created around art, time and nature, representing the hotel’s lakeside setting and the city of Geneva. In the hallways of the hotel’s atrium, guests will find an exhibition of tapestries that feature historical figures who played a role in attaining peace, from Giuseppe Garibaldi to Victor Hugo. 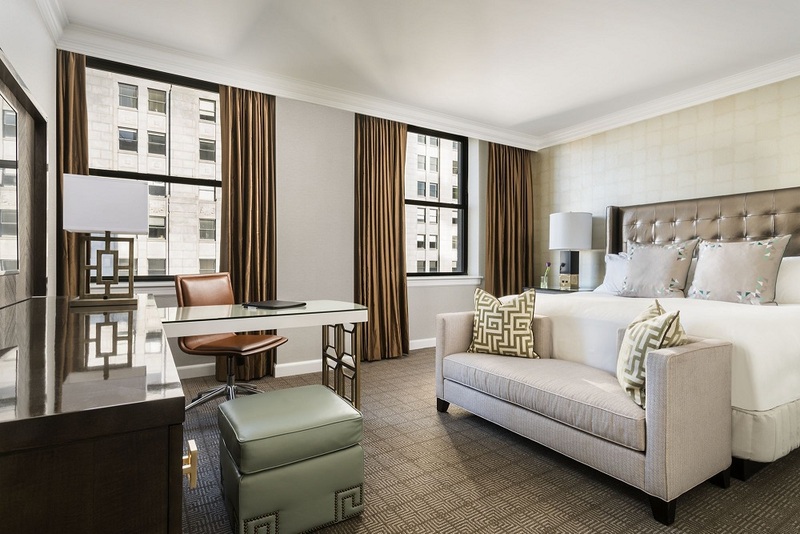 Its 74 guestrooms, including 14 elegant suites, have been re-styled with a sleek and modern design. 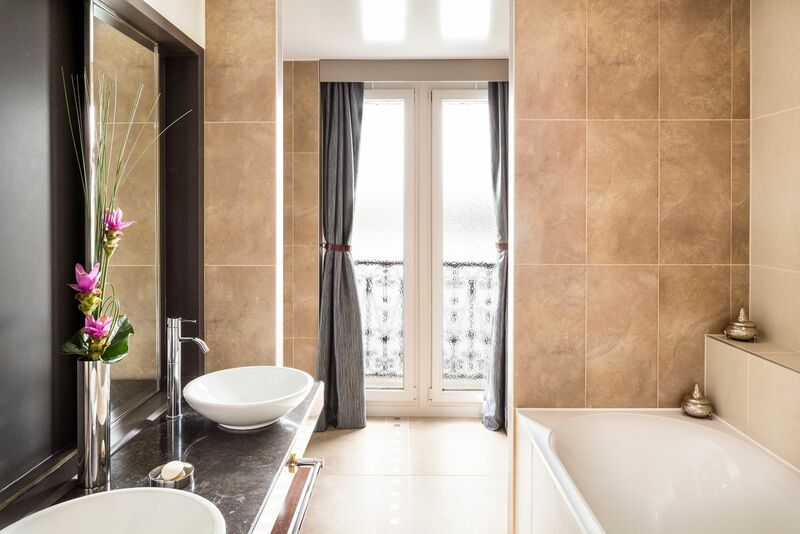 Floor-to-ceiling windows fill each room with natural light and are further enhanced by stunning views across Mont Blanc Square, Lake Geneva and the Jet d’Eau. 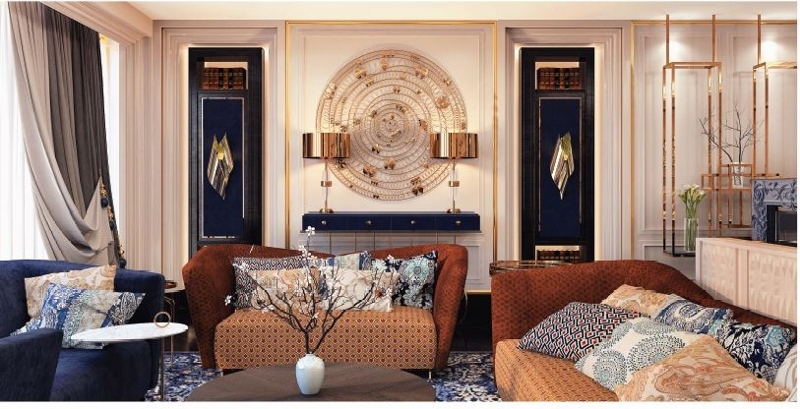 The Grace Kelly Suite, named after the Princess of Monaco who was a regular guest at the hotel, is the hotel’s Presidential Suite, offering sophisticated art deco design and gold leaf gilding, creating an elegant sanctuary. 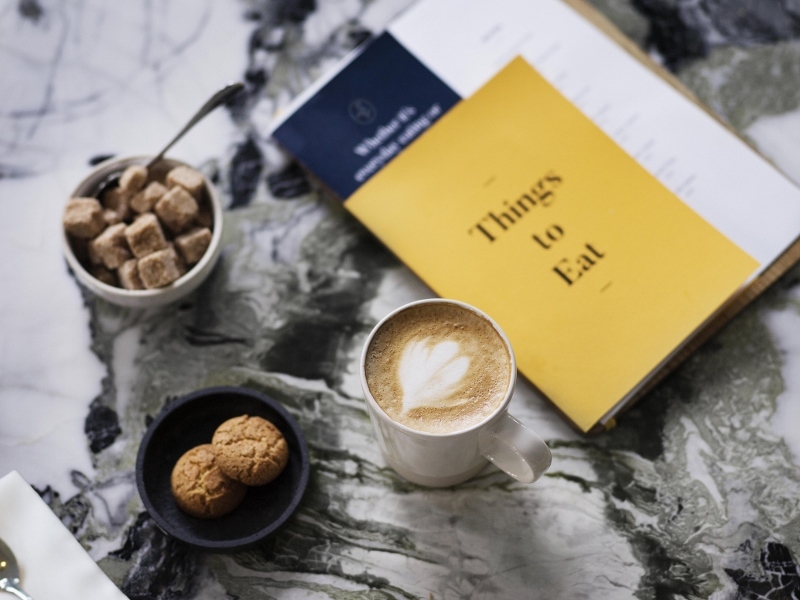 Paying homage to Geneva’s gastronomic scene, The Ritz-Carlton Hotel de la Paix, Geneva captures the cosmopolitan nature of the destination with two new culinary experiences. Inspired by Executive Chef Alessio Corda’s respect for organic, regional dishes, Fiskebar introduces a new Nordic-fusion concept, a first-of-its-kind in Geneva. Spread across four interconnecting spaces, including a fresh fish counter with communal seating, the restaurant’s styling is reminiscent of a traditional Scandinavian fish market, where minimalist interiors are set off by natural materials such as wood and leather to create a Nordic ambience. Living Room Bar & Kitchen offers all-day dining, serving regional dishes and global flavors with a thoughtfully crafted menu that showcases fresh, local and seasonal produce. The Ritz-Carlton, the legendary luxury hotel brand, opened the doors of its first hotel in the capital of Kazakhstan. With the capital city an emerging destination for business and leisure travelers, The Ritz-Carlton, Astana elevates the local hospitality landscape with exceptional service, elegant accommodations, and commitment to creating memorable experiences. The Ritz-Carlton, Abama will re-open its much-loved ‘Verona’ next month, unveiling extensive expansion and a significant renovation of the classic Italian hotspot. 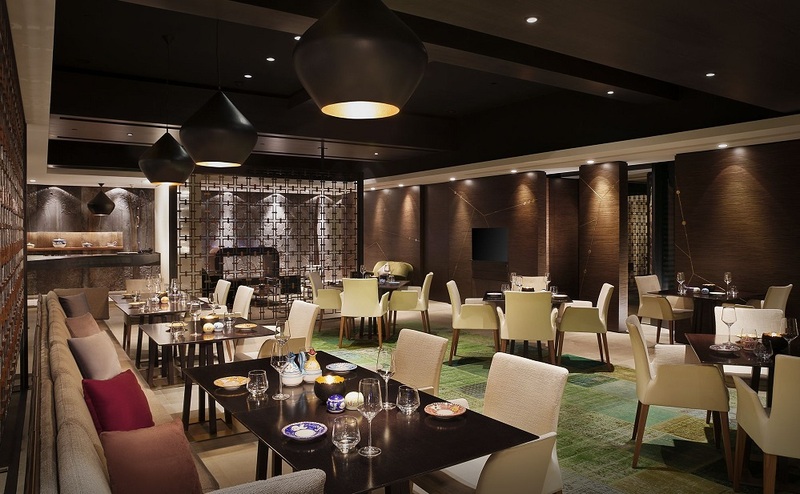 The re-launch will see Verona welcome its guests to increased dining space and a chic new-look. 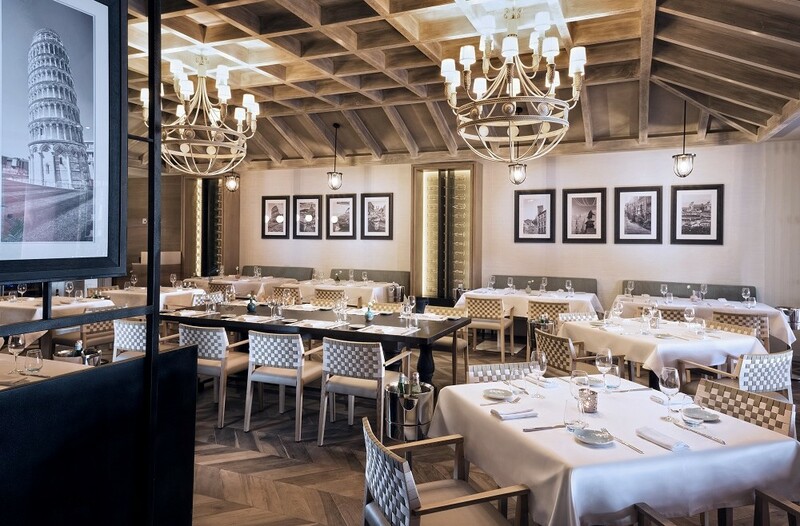 Marking the leading European destination’s continued commitment to excellence, the new venue forms part of the resort’s gastronomic stable of ten restaurants. 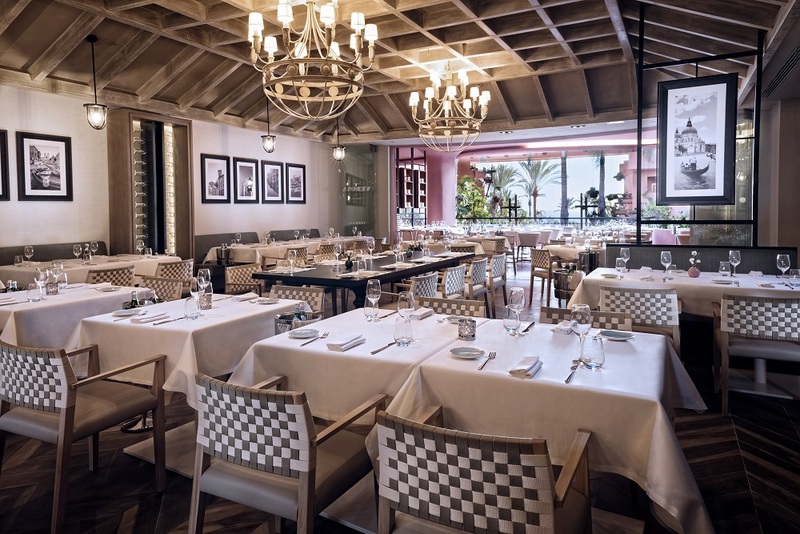 Situated in the heart of The Ritz-Carlton, Abama’s Citadel building and behind its renowned Moorish façade, an open and airy new dining space encourages a vibrant experience true to Italian spirit. White-washed brick walls surround, with accents of wood and graphic wood collaging. Verona’s towering wine cabinets will house its generous collection of Italian wines, complemented by an international list and local island favourites. Each table will be dressed sharply with white table linens juxtaposed with bespoke-design crockery. A large terrace area will also enable diners to enjoy the year-round temperate climate against a backdrop of lush tropical plants and terracotta vistas. Open every day from 6pm for dinner reservations, Verona will add to guests’ exceptional choice of restaurants, joining The Ritz-Carlton, Abama’s two Michelin-starred, M.B. and Kabuki venues, and its latest openings, Txoko from Martin Berasategui, and the 20/20 steakhouse launched in December 2016. For the luxury traveller, this year is playing host to the opening of a plethora of exciting and truly spectacular openings, with hotels going to even greater lengths to cater for the ever-growing needs of the discerning holidaymaker. Rather than refer to the property as the group’s first hotel in Laos, the team at AKARYN prefer to describe it as Laos’ first hotel. An aura of timeless style and elegance pervades each of the 32 guest rooms and suites with an individual butler to be called upon whenever guests require assistance. The President by AKARYN has also been selected by the United Nations-led ASIA Geographical Indication (GI) programme as its main partner. In line with its sustainable approach to business growth and destination development, AKARYN Hotel Group will give back to local communities through sustainable sources of local income to promote sustainable living and tourism. 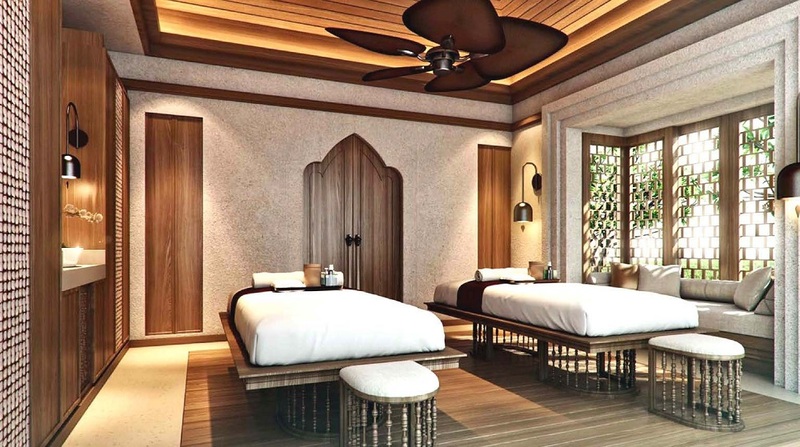 Marking The Ritz-Carlton, Langkawi as a new spa destination, the spa will have the only overwater treatment rooms with a Hammam on the island. As part of the launch, the resort will be launching a comprehensive wellness/lifestyle programme, inviting guests to relax and indulge in their locally inspired treatments, which have thoughtfully been created to draw upon the rich cultural elements of Langkawi. With white sandy beaches stretching between the Andaman Sea and a million-year old rainforest as a backdrop, The Ritz -Carlton, Langkawi blends in beautifully with its surroundings. It was designed to reflect a traditional kampong village with 90 guest rooms and 30 villas, three swimming pools, a locally inspired spa, international restaurants and three meeting and wedding venues. Sister hotel to the legendary Domes of Elounda, the Domes Noruz Chania, Autograph Collection is an 83 room and suites, adults-only, beachfront boutique hotel. 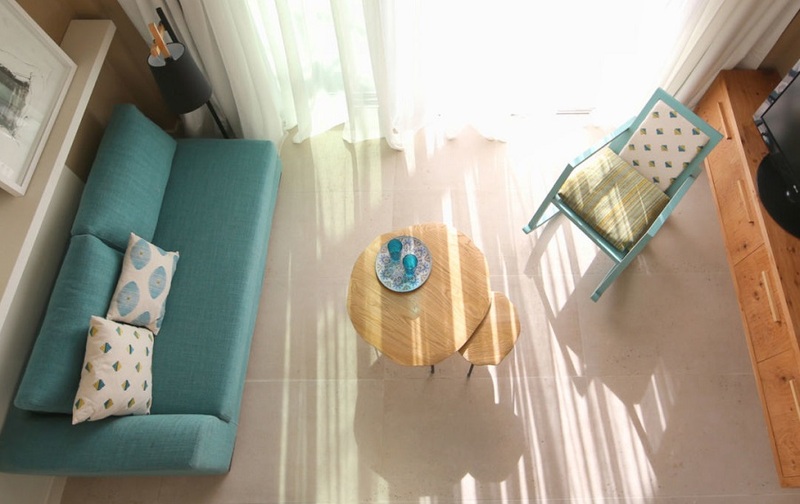 This brand new Exactly Like Nothing Else experiential hotel in Chania, complete with a buzzy atmosphere, is a must visit destination for all likeminded travellers, who crave relaxation, a fun environment, in a chic, ultra-stylish surrounding. Though each resort is distinctive in its own right, Aleenta Phuket and akyra Beach Club Phuket combine to offer guests an unrivalled leisure and dining destination while also retaining the charm of a secluded beachside enclave. The location feels a world away from the well-trodden beaches of Phuket and sits comfortably between multi-million dollar private homes and local fishing communities. Custom designed to lift the spirit and calm the soul, the akyra Beach Club Phuket boasts 59 luxurious rooms and stylish stand-alone villas with generous living spaces, branded amenities and a profusion high-end inclusions. Leading edge resort facilities include a beach spa and fully equipped gym and the resort’s integrated beach club offers guests a choice of refined waterfront dining options as they recline in cushioned cabanas or laze on luxury loungers surrounding an enticing beachfront pool. Hurawalhi Island Resort, Maldives, is unparalleled, extraordinary and utterly original. Environmentally innovative, a breath-taking Undersea Restaurant, a tropical Champagne Pavilion, stylish Villas and an adults-only policy – Hurawalhi offers its own take on Paradise. Just a 40-minute seaplane flight from Male’, here are a distinctive collection of superbly designed, exclusive and supremely spacious Villas strung across the glittering lagoon – perfectly positioned so that guests can enjoy exquisite sunset panoramas. And with dining options that include on the beach, over the water, and even under the water, the philosophy here is that nothing is impossible. For travellers looking to encounter the authentic delights of Bahrain, whilst remaining enveloped within ultimate comfort; is The Ritz-Carlton, Bahrain. Close to the city and with 600 metres of a private sandy beach, the resort is a secluded slice of paradise located on Bahrain island’s north coast and just three kilometres from Manama city centre. 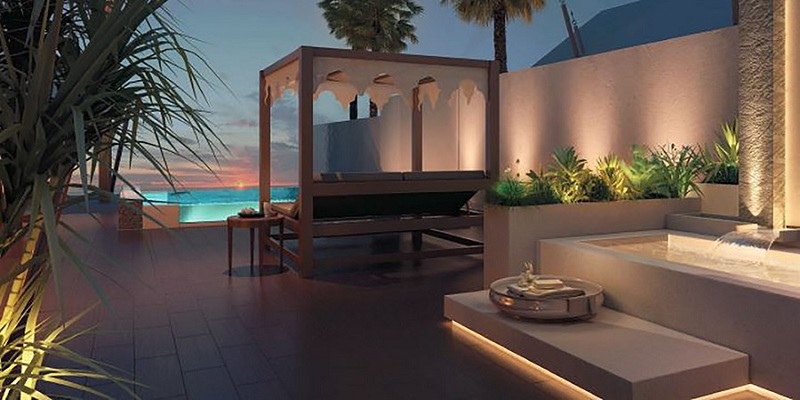 With scenic views of the Arabian Gulf or the city of Manama, the resort hosts 23 three-bedroom seafront villas reserved for those seeking the finest experience possible, as well as 31 suites and 42 Club Level rooms. The capacious, exclusive private villas are complete with its own opulent bath, personal outdoor pool, access to a personal beach and 24-hour butler service. Guests also staying in a private villa or Club Level rooms will have access to a dedicated Concierge, on hand to meet any needs, as well as enjoy the comfort, convenience and intimacy of a hotel within a hotel at the beautifully, appointed Club Lounge. A stunning property complete with glamorous gastronomy throughout, there is choice of nine restaurants, lounges and bars. Ensuring their wellness offerings are at the highest of standard, the Spa at The Ritz-Carlton, Bahrain features an extensive selection Arabic rituals inspired from regional culture and local traditions, using a variety of natural oils such as Argon oil, Muscat oil rose and amber. For active seekers, guests can take advantage of the gym, tennis academy or jump on board an excursion to the best fishing site in the seas of Bahrain. There is also an 18-hole Royal Golf Club, just 25-minutes from the hotel, designed by golfing legend Colin Montgomerie. 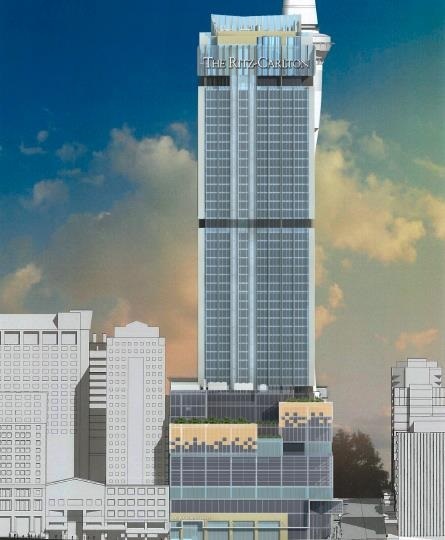 The Ritz-Carlton Hotel Company has signed a management agreement with NDG Asia Pacific (NZ) Limited to open the first Ritz-Carlton property in New Zealand in 2019, creating a new iconic property that will enhance the famous skyline of New Zealand’s leading waterfront city, Auckland. Located in the downtown heart of the city amid the well-preserved city landmarks, adjacent to the distinctive Sky City, The Ritz-Carlton, Auckland will offer uninterrupted 360 degree views of Auckland’s twin harbours with easy access to nearby vineyards on Waiheke Island beyond by helicopter, as well as allowing guests to hands-on experience the thrills of the America’s Cup on an original racing yacht. 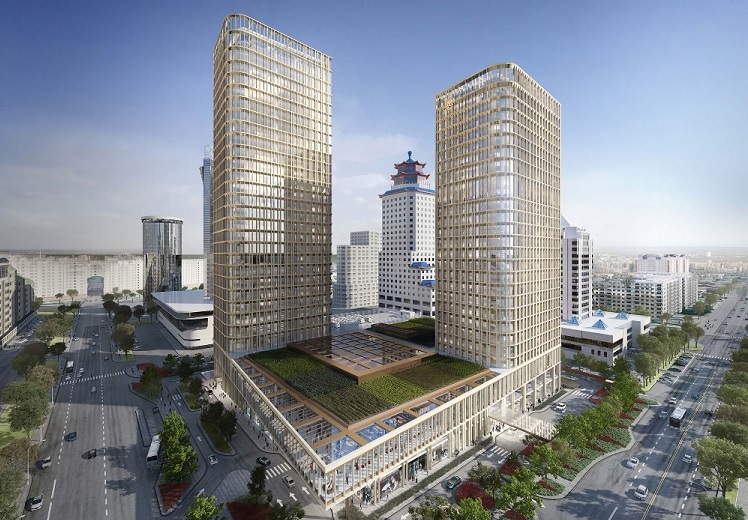 The Ritz-Carlton, Auckland will take advantage of its exceptional location and New Zealand’s natural outdoors culture with lofty terraces adjacent to lounge as well as a street level café for a place to see and be seen. Two fine dining restaurants will complement the vibrant dining scene, allowing the creative Ritz-Carlton chefs to showcase the fresh produce for which the country is famed. Among the 300 rooms and suites, will be the renowned Presidential and Ritz-Carlton Suites, where guests can also enjoy the pure New Zealand air from the expansive terraces with cocktail in hand. The Auckland social scene will see the debut of two Ritz-Carlton ballrooms for its showcase events and weddings, as well as enhancing the city’s international convention and meetings. 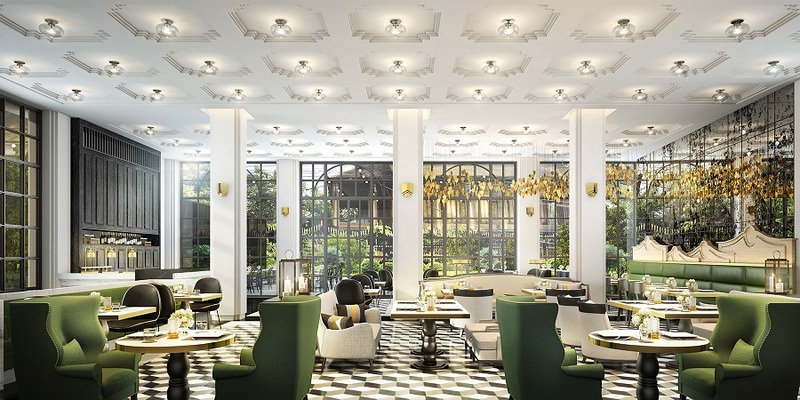 Ian Schrager, the internationally renowned American hotel visionary, is expanding his global influence with the opening of his first hotel in China. 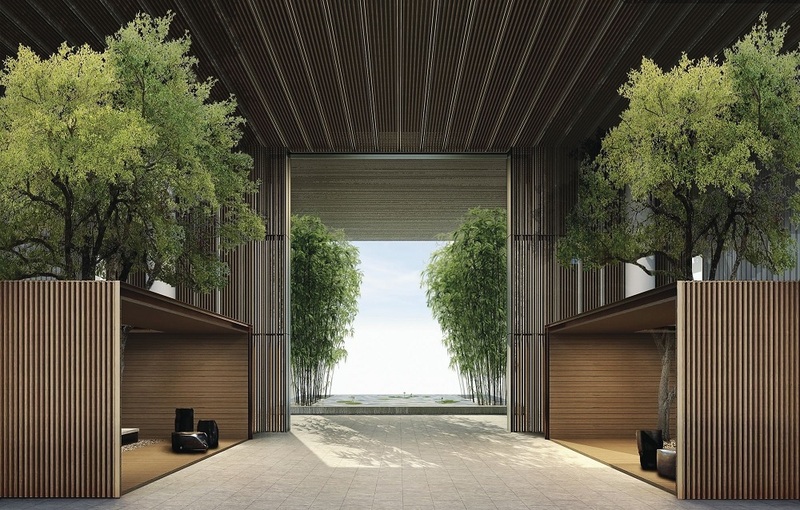 The Sanya EDITION, a spectacular oceanfront destination on Hainan Island, just off the coast of Southern China, is the latest addition to EDITION hotels, the brand Ian Schrager conceived in a partnership with Marriott International. EDITION redefines the codes of traditional luxury by balancing sophisticated design and personalized, attentive service with one-of-a-kind food, beverage and entertainment offerings reflecting the best of the cultural and social milieu of each location. Centrally located in Haitang Bay, The Sanya EDITION is set within 50 acres of meticulously landscaped lush tropical greenery, featuring a striking 20,000 m2 private ocean overlooking the South China Sea. The Sanya EDITION was designed for people of all ages, which is a delicate balancing act. The fundamental idea behind this resort was to divide the property into different specialised zones that overlap with each other but simultaneously retain their own unique identities. The zones include water, fun, sports, kids, adult, family, eating, nightlife, entertainment, sensory and relaxation. The property highlights a balance of contrasts, where traditional elements meet contemporary culture, simplicity conveys sophistication, and modern design amplifies the natural beauty. In keeping with EDITION’s customized, individual approach, The Sanya EDITION draws inspiration from local influences, remaining respectful of Hainan Island’s rich cultural heritage, yet infuses each space with surprising, ultra-modern twists. The landscape was conjured as a tropical oasis reflecting the islands indigenous flora and fauna and 900 trees meticulously chosen and transported to the resort from across the island of Hainan to create a sustainable and captivating environment. The reception area reflects the duality of the hotel where a traditional lotus pool and live bamboo grove serve as a counterpoint to a curated art gallery displaying the work of renowned Chinese artists. Guests are greeted with a striking view of the resort’s Private Ocean, which is gracefully framed by a series of teak pavilions. The spectacular 20,000m2 private ocean overlooking the South China Sea is unique to China and serves as the property’s focal point with numerous activities radiating around this vast body of water. The private ocean beach on the north shore, which is shaded by coconut palms, offers pristine white powdery sand and is designed for swimming and enjoying the water and its magnificent view. To maintain the private ocean within the resort, 10 million gallons of sea water is pumped in from the South China Sea throughout the day, recycling once every 32 hours. As a compliment, a series of age-specific pools in a number of different sizes are dotted around the private ocean, each one with their own program of special activities. 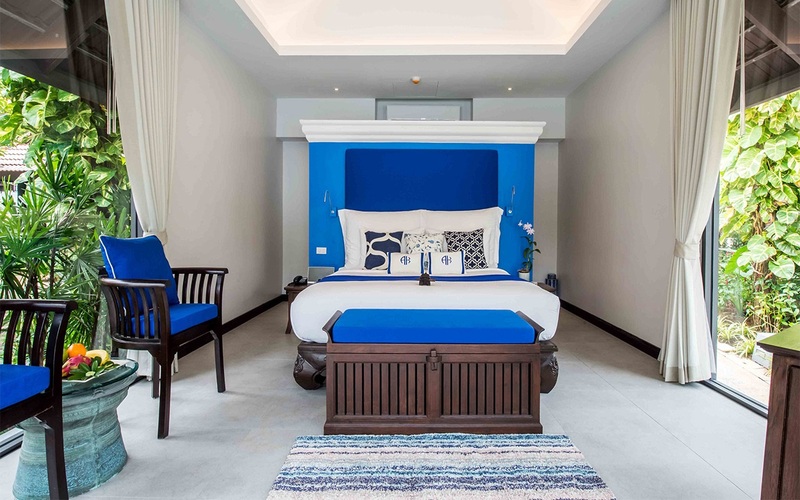 The Sanya EDITION comprises 512 residential-style guestrooms, including 46 suites, and an additional 17 exclusive hotel villas nestled into a terraced hillside, each one with a private pool and private outdoor space. Delivering on the new-luxury promise, all guestrooms in the horseshoe-shaped hotel offer stunning ocean views. While the standard rooms are well suited for families, the loft suites, with their sleek and sensual finishes, are designed to appeal to couples. The villas emphasise wood and stone textures. The warm and inviting interiors exude a comfortable, simple sophistication, using light oak finishes and airy fabrics to evoke the relaxed beach vibe. 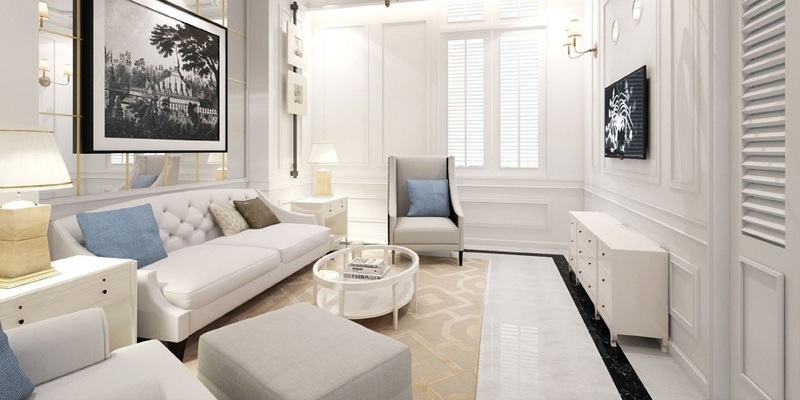 The spacious, light-filled rooms contrast stone floors against a clean, light color palate. The inventive design extends to the main room where Lofts and Suites feature a striking standalone bathtub. The placement allows guests to fully luxuriate in and appreciate the surrounding natural views. 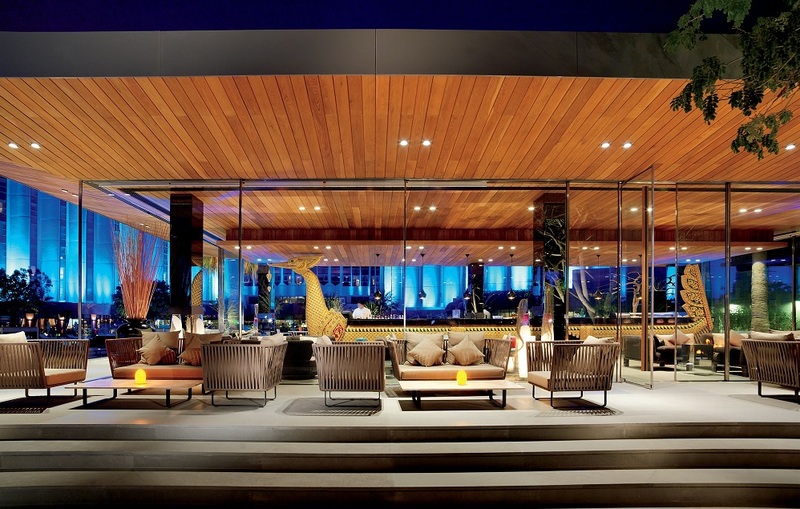 The Sanya EDITION, like every other property in the collection, combines the personal, intimate, individualized hotel experience that Ian Schrager is known for, with the global reach, operational expertise and scale of Marriott International. Ian Schrager knows how to read the zeitgeist to surpass expectations, surprise pundits and anticipate the needs of his guests. With The Sanya EDITION, he continues the tradition. The Ritz-Carlton Hotel Company has signed a management agreement with RAK National Hotels, an owner of hotels and resorts in Ras Al Khaimah, a subsidiary of RAK Hospitality Holding, and Al Hamra Real Estate Development, marking its entry into the emirate of Ras Al Khaimah. The brand will manage The Ritz-Carlton Ras Al Khaimah, Al Hamra Beach and The Ritz-Carlton Ras Al Khaimah, Al Wadi Desert, growing the brand’s footprint in the United Arab Emirates (UAE) to five by 2017. The management agreement, which goes into effect on December 15th, will see the beach property close for comprehensive renovations, whilst the desert property will remain open and operate as a partner hotel – Al Wadi Desert, Ras Al Khaimah, a Ritz-Carlton Partner Hotel. 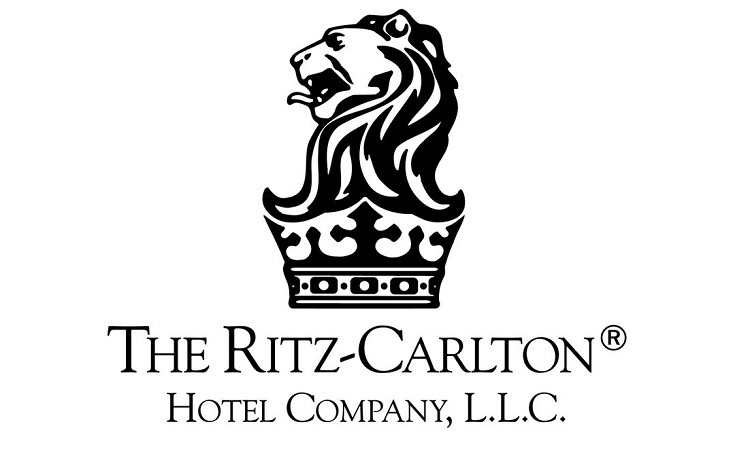 Both properties following the renovations are scheduled to be re-launched in 2017 under The Ritz-Carlton stewardship. The renovations include total refurbishment of the Al Hamra beach property a 32 all-villa luxury resort, and upgrading the Al Wadi property, a 101 all-villa desert escape. The two new additions to The Ritz-Carlton portfolio are enclaves of bespoke Arabian-style villas that stretch along a private shore of white sand and the vast undulating expanse of the desert respectively. 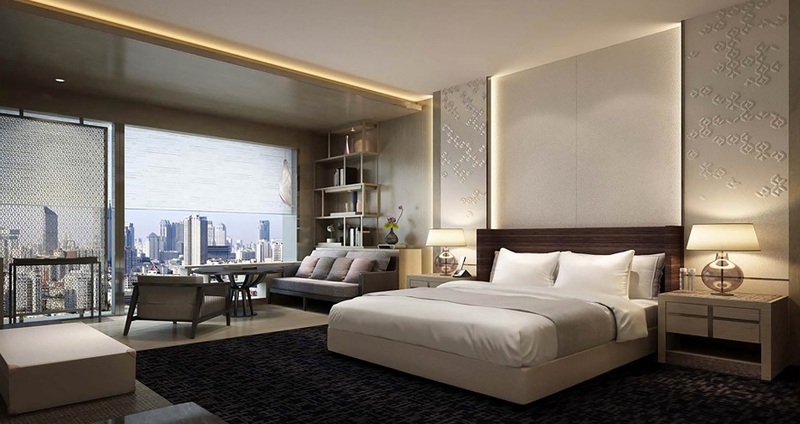 Ritz-Carlton Group has signed a management agreement with Zhongda Zhongfanxin Proprietary Company, for The Ritz-Carlton Xian, expected to open in 2018. Located in north west China, the city is one of China’s four ‘Ancient Capitals’, home to 13 imperial Chinese dynasties, which today still serves as the capital of its province, Shaanxi. 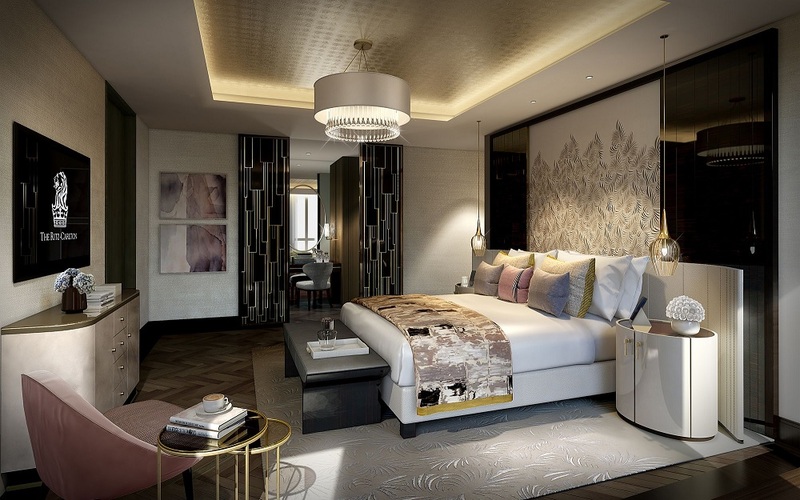 With 288 guestrooms and suites, The Ritz-Carlton, Xian will also have expansive event spaces including two ballrooms, two exceptional restaurants including Japanese and Cantonese dining, and an exciting new outpost of the sophisticated bar, Flair, the property will be the new social hub in the city. The Ritz-Carlton Hotel Company has teed up a second resort hotel on China’s only tropical island of Hainan, signing a management agreement with Hainan Golden Tide Tourism Development. Commanding a prized east coast location near the city of Wanning, the private ocean-front setting of The Ritz-Carlton resort with its two crescents of white sandy beach, will also include the debut of the first Ritz-Carlton Golf Club in China. The challenging 18-hole course will be designed by golf legend, Jack Nicklaus. The Ritz-Carlton, Nanyan Bay is scheduled to open in 2017 offering 244 generous guestrooms and suites in addition to 14 private villas. Five dining options include a Chinese restaurant, pool bar and grill, all-day dining restaurant and lobby lounge. Weddings and meetings will be hosted in lavish settings amid the 800sqm Grand Ballroom and the 1,600sqm of meeting and event venue space. A luxury spa, fitness center, recreation pavilion and multiple swimming pools are among the resort’s private facilities. 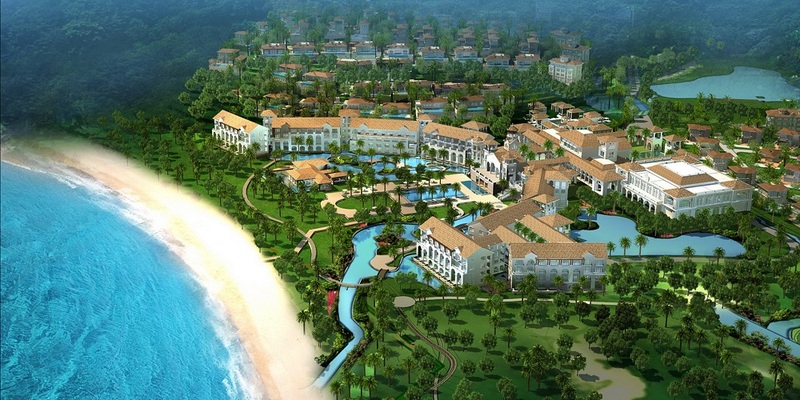 Completing the ocean view development will be residences, entertainment and luxury retail stores. The Hainan government has highlighted Wanning as a new tourism hub by completing infrastructure projects such as a new nearby airport, a high speed railway and new roads to improve accessibility. It has placed emphasis on showcasing the island’s rich cultural heritage and wealth of natural landmarks. The Ritz-Carlton, Nanyan Bay is surrounded by the famed Dongshan Ridge which is known as the First Mountain of Hainan with the oldest Buddhist temples in the province. The location is also close to several natural hotsprings and nature trails leading into the ancient tropical rainforests with 4,600 kinds of flora and fauna and the home to one of the three important local ethnic tribes – the Miao people. Wanning prefecture is also home to the largest surf club in Asia and the home of international caliber surfing competitions. 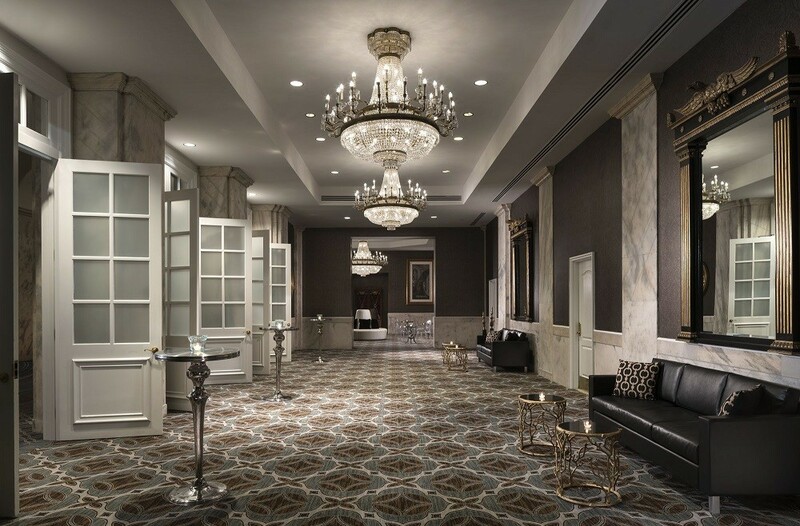 The Ritz-Carlton, Philadelphia has unveiled a year-long, multi-million dollar renewal project. Co-designed by Wimberly Interiors and LW Designs, with Coscia Moos Architecture, the updates to the hotel include all-new guest rooms and meeting spaces, a refreshed lobby experience and public spaces along with a new restaurant, bar and lounge by Richard Sandoval. The iconic hotel, steeped in history, was originally built as a reproduction of the Pantheon when it opened in 1908 as The Girard Trust Company. The property-wide enhancements focus on the scenography of the building – explore history and experience the arts – paying tribute to its rich past. The new design brings a fresh and sophisticated feel to the hotel while also telling a story through neutral colours, textures and materials inspired by money and currency, with pops of metallic, bronze and emerald green. 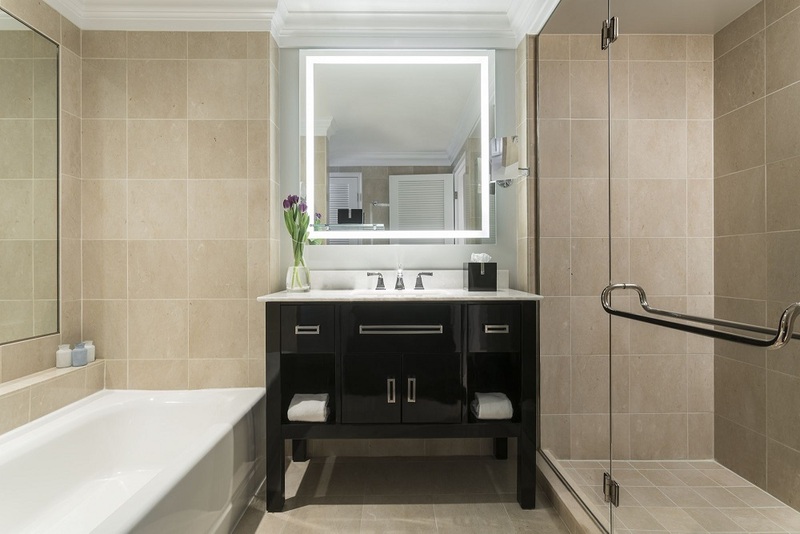 Artwork and guest amenities reflect a distinct sense of place in the heart of Philadelphia. New guest room design features luxurious fabrics and furniture finishes in a welcoming neutral color palate. Punctuations of green and blue along with notes of bronze and nickel layer a contemporary polish. The new guest rooms offer a distinct space for work and relaxation with a cohesive unit encompassing the desk and TV console which work together to create a flexible work and dining space for guests. 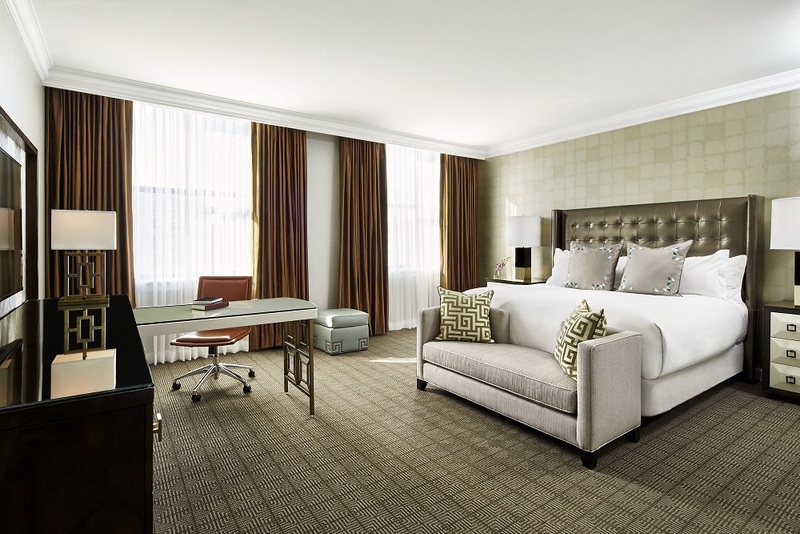 The Ritz-Carlton Suite is the premier accommodation in Philadelphia. Offering beautiful views of the city from the 31st floor, a personal elevator for exclusive use, two full bedrooms, separate living and dining spaces, personal kitchen en-suite with a large dining table and a monumental Master Bath with incredible city views of the iconic City Hall and 27-ton statue of William Penn. 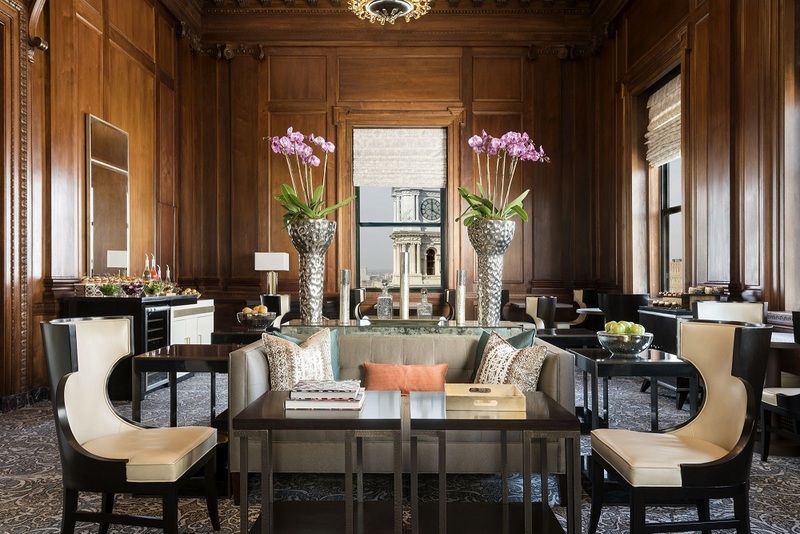 The Ritz-Carlton, Philadelphia Club Lounge has been updated to reflect a distinct sense of place in the heart of the city. The lounge, which contains the original wood paneling made of French walnut serves as a hotel within a hotel. Here, service reaches a new level with dedicated private concierges and personalized amenities. In the exclusive Club Lounge, guests will discover a quiet space for working, meeting or relaxing with complimentary culinary and beverage presentations throughout the day. High ceilings, 9,000 tons of Georgia marble and original architecture of the 101-foot dome, which once was the largest dome in the Western Hemisphere, are dazzling. Upon entering the building a large lounge area with a plethora of comfortable seating is surrounded with two large crystal walls that fill the space with sparkle and light. The original oculus, which used to host the bank tellers as they would pull the money through the center of the oculus from the vault directly below is still intact and covered by a glass wall which is now surrounded by a high-top bar. Even the original bank vault now serves as a luxurious function room. 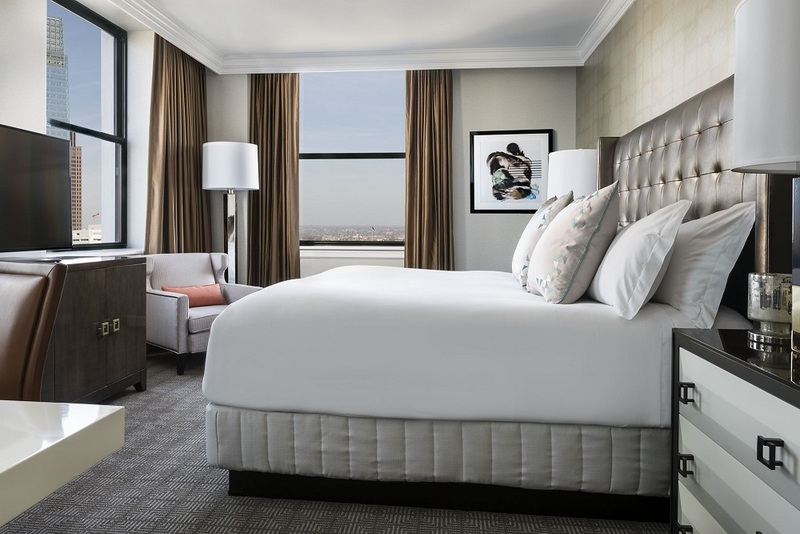 With a variety of layout options and room sizes, The Ritz-Carlton, Philadelphia has flexibility to host everything from small C-level board meetings to cocktail fundraisers and holiday parties. The hotel features two ballrooms: a 3,075 square-foot petite ballroom and the 6,100 square-foot Grand Ballroom, located on the concourse level, which is the centerpiece of the hotel and can hold up to 600 people. The sky can be admired through the ballroom’s large crystal chandelier as guests look up into the celling, into the oculus and through the top of the rotunda in the lobby. 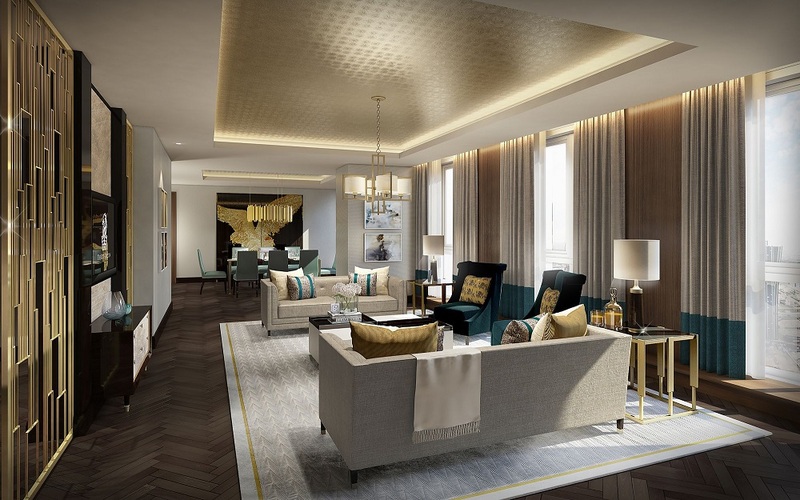 The Ritz-Carlton Hotel Company has revealed its first hotel in Hungary this week. The Ritz-Carlton, Budapest, is housed within a protected historic building, located on Elizabeth Square, with views over St Stephens Basilica. 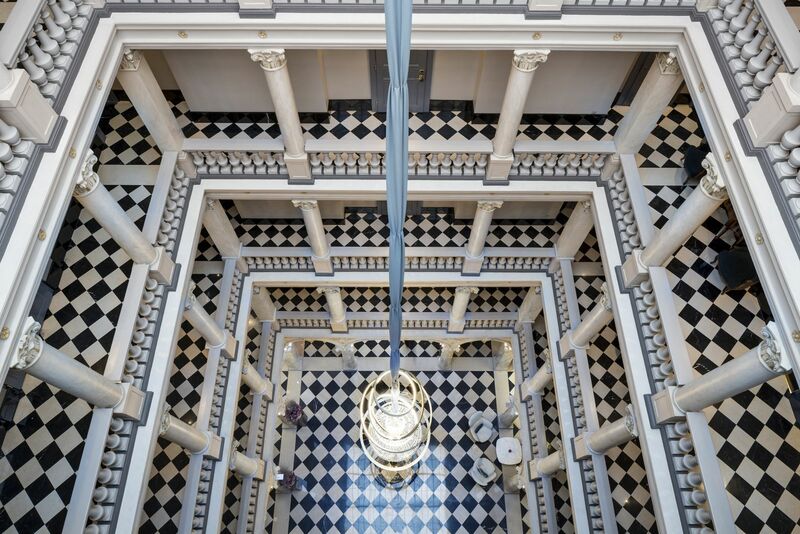 Constructed in 1914 as the headquarters for an Italian insurance company, the building has seen many incarnations, but today it opens as a luxury property with 170 elegantly appointed rooms and 30 suites. Whilst many of the building’s original architectural details have been retained, including elegant statues on the exterior walls, the interiors offer guests a spacious and relaxed contemporary environment, inspired by the cool colours and swirling water of the Danube River. The Kupola Lounge, situated beneath the building’s iconic stained glass cupula and grand crystal chandelier, is ideally placed for a leisurely farmer’s market breakfast or light lunch overlooking the hotel lobby. 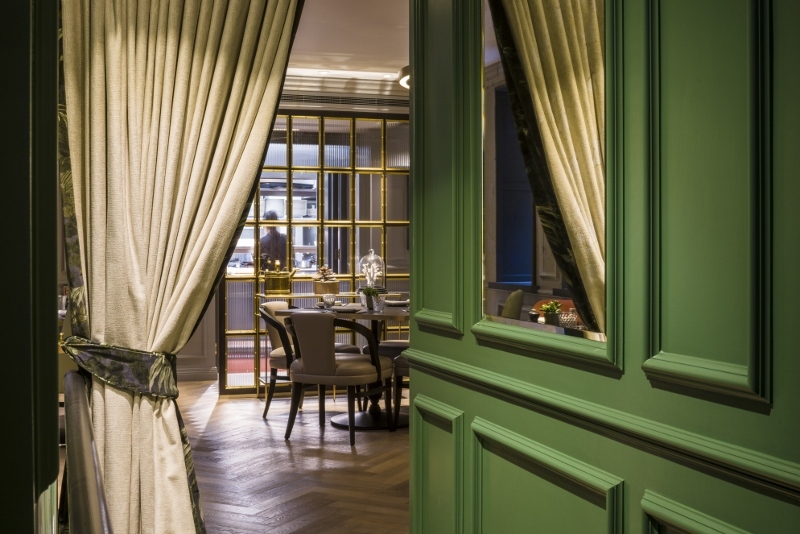 The Ritz-Carlton, Budapest, also houses a fresh, contemporary bar. 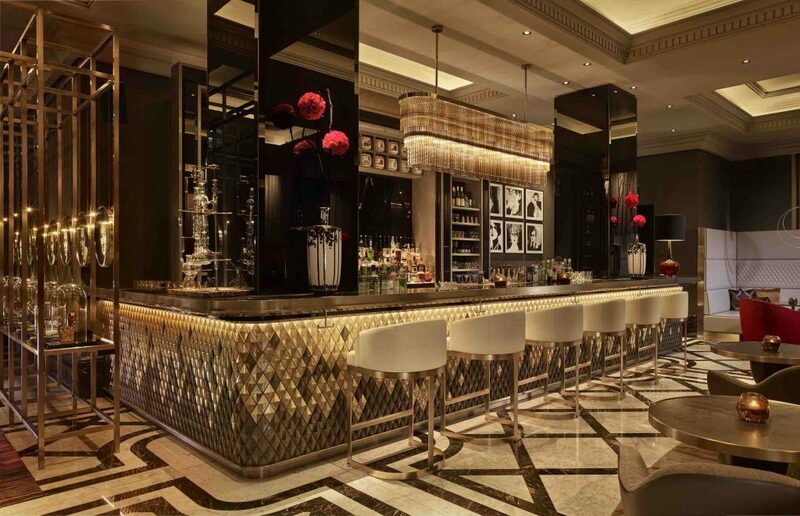 Combining sleek finishes with the building’s uncovered original architectural columns, the Kupula Bar focuses on serving innovative cocktails in a metropolitan, sophisticated ambience. The property’s facilities are completed with the ballroom, situated on the lower ground floor. Seating 180 people and the perfect new Budapest location for milestone celebrations, it is adjacent to five flexible meeting rooms, which combine contemporary interiors with state of the art technology. “The Ritz-Carlton service standards are globally recognised and we’re delighted to bring them to a new market. Budapest is an extraordinary city and perfectly placed to welcome the newest property in our portfolio,” said Herve Humler, President and Chief Operations Officer.